Adapted from Supporting Struggling Learners by Patricia Vitale-Reilly. It may seem strange to think about cultivating focus. After all, isn’t focus one of these things that you either have or don’t have? Isn’t asking a student to focus like asking her to breathe or sleep? Actually, no. Although natural abilities can vary, focus can be improved, cultivated, and taught. We want to provide students with strategies for noticing their attention and focus as well as tools for cultivating their ability to stay tuned in to their work. 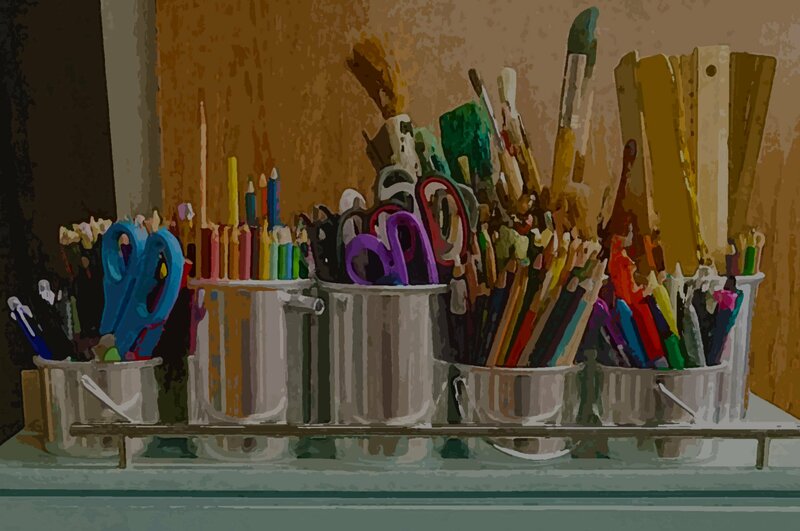 What matters most is that students, with the help of a teacher, create a routine for focus. In Chapter 1, I explain why it’s important to have multiple seating arrangements, and I unpack the idea of a smart spot for learning. In essence, the smart spot is where you can do your best thinking; it’s also about working in a place where you can focus. During my time with a kindergarten class this past year, we examined what focus would look like during reading workshop and used the phrase, “getting in a quiet bubble” during independent reading. The teacher and I modeled what being in a quiet bubble would look and sound like, and we taught students how to choose a spot that was conducive to reading. Finding a smart spot and getting in a quiet bubble is the first part of cultivating focus. Next, you want to be sure to teach students to recognize when their attention is waning so they can employ focus strategies at that moment. In The Independent Reading Assessment, Jennifer Serravallo (2012) refers to this as catching your running mind, which is about noticing when your mind is wandering and your focus is waning. Explore focus in one-to-one conversations with students, and try to determine when this happens or even what this feels like. Second grader Luke usually clues into his waning reading focus a few pages after he has lost his attention. He describes it as “coming out of a cloud and realizing that he has no idea what just happened in the book.” Through conversations with his teacher, he also realized that when he has a lot of questions about a part, a character, or a chapter, he tends to lose focus. Determine when and where focus exists, when and where focus is lost, and what this looks like for students. Focus on the right things. Struggling learners can be distracted by worries, multiple tasks, or multiple moving parts in our day. In addition, they may be trying to focus on too many things at once—something that ironically leads to a lack of focus. Provide them with ways to remove what they don’t need to be focused on to make time and space for what they do need to be focused on. For example, Megan, a fifth grader, becomes very easily distracted by the moving parts of her math workshop. Ellen, her teacher, usually reiterates to Megan that she needs to work on the five practice problems of the day before working on any group project or long-term work. Before she gets started each day, Megan removes any materials that are not related to the practice problems and states to herself her daily goal (as a reminder and focal point). Social elements can also distract students. Ellory, a second-grade student, is always thinking about who she will sit with at lunch, to the point that it distracts her from her class work. When her teacher, Lindsay, finally realized what was distracting Ellory, they made a plan to discuss lunch-time seating during the morning unpacking routine. This seemingly simple move went a long way in keeping Ellory from becoming distracted by the pressure of navigating the social world of lunchtime. Take a break. Consistent focus takes time to develop, and taking a break is enormously helpful to struggling students. “I need a break” was one of the nonverbal signals students used in my classroom, and I acknowledged and honored a student’s need to stop, break, and regroup. In addition to having a way to signal the need for a break, it is helpful to have a routine for the break. For example, third grader Jack leaves his classroom, walks past the boys’ bathroom, loops back to take a quick sip from the water fountain, and returns to his classroom ready to focus. You can teach older students to be more proactive about breaks, chunking out work and preplanning breaks. This can actually help them to build stamina and stretch the amount of time they stay focused. Mark, a sixth grader, determines how long he will work before he takes a break. He plans this either by time or task (work for half the period or read a chapter or part). He has been working toward stretching the amount of time he can focus. Be mindful of and combat distractions. Our world is full of distractions, seemingly more each year, and knowing how distractions affect our focus is paramount to success as a student. Teach students to self-advocate about where they will work, noise level in the room, distractions from technology or school PA systems, and basic needs (using the restroom, thirst, hunger). Provide struggling students with the opportunity to attend to their needs. For example, at the beginning of his seventh-period social studies class each day Peter needs a snack, which he eats quickly and quietly, and is then ready to focus. Provide students with tools to tune out distractions. Jerry sits in an area of his classroom where he can quietly hum to himself during independent practice time, and Sammy keeps a squeeze ball in her backpack that she takes out during lessons. She squeezes the ball during any direct instruction or multistep directions. What seem like distractions themselves (small movement and quiet noise) actually help some kids focus. 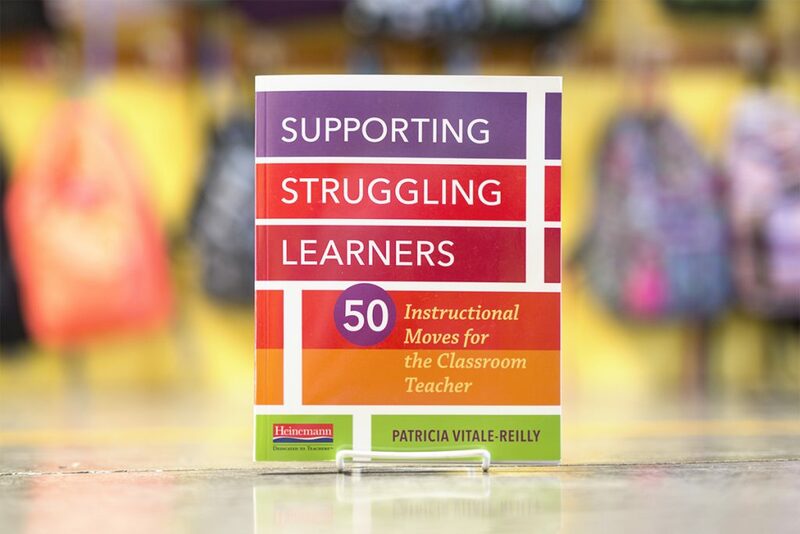 To learn more about Supporting Struggling Learners and download a sample chapter, visit Heinemann.com. Patricia Vitale-Reilly is a national consultant, teacher, and former staff developer at the Teachers College Reading and Writing Project. With TCRWP, she helped school communities implement exemplary literacy instruction, and presented workshops and courses on the teaching of reading, writing, assessment, and literacy in the content areas. In 2003, Patty founded her own literacy consulting group, and currently works directly with school leaders, coaches, teachers, and students inside and outside of classrooms. She is dedicated to guiding schools and districts to set and realize goals that matter most in their learning communities, and to her belief that every student has the right and the capacity to learn. Learn more about Patricia at Heinemann.com.